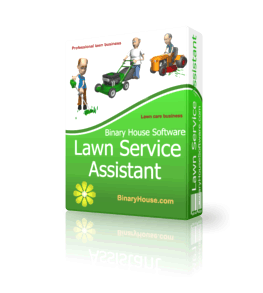 Professional lawn care business software. Now you can keep track of all past tree service jobs, lawn mowing job or snow removal jobs. 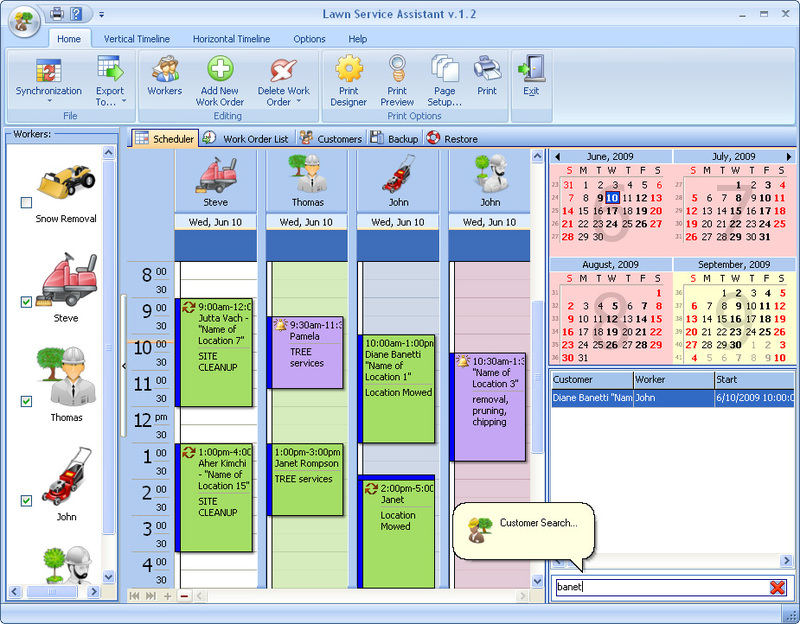 Use the calendar to schedule anything you want, such as appointments or equipment maintenance. You can use the scheduler to find the best fit by viewing dates, times and distance of other scheduled services to set an appointment for a customer. Each customer’s history is stored and conveniently displayed on the customers main screen for ease of look up. This historical recount is complete and permanently stored with each customer for quick reference. It’s perfect for workers to plan working hours so that the orders do not overlap with someone else and keep track of scheduled appointments. It’ll store the information about clients, such as their address, telephone, email and comments. This modern and extremely handy program makes management a real pleasure. The program has a handy interface to calculate and show the “fee charged”, helping you to make decisions quickly. It’s possible to create reminders to alert workers about the things they should do. Available is an automatic search and auto-field filling for a customer, who has already been entered to the database. You can view the information about payments, daily income for any day at any moment when you need it. For those people, who work in Microsoft Outlook, it’s possible to export data. Export of data is available to different formats: XLS, TXT, HTML, XML for its adaptation for other programs. Exchanging data with other applications (Apple iCal, Microsoft Exchange Server and Android applications) is made easier with the new support for the iCal data format. In case of crashes or virus attacks, there is an auto backup function with a possibility to remove old archives automatically.